Conformance to social context while designing an e-learning course is crucial in enhancing acceptability of the course. Building socially aware e-learning courses requires elicitation of social opinion from various stakeholders associated with the system. Stakeholders are disparate in their perception towards the intricacies of the system, leading to generation of numerous assorted ideas. Knowledge Management (KM) assimilates these ideas to bring congruency into the system. 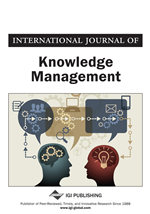 This paper proposes i) a model KMeLS (Knowledge Management in e-Learning Systems) built upon the SECI (Socialization, Externalization, Combination and Internalization) framework, and ii) an algorithm PARSeL (Prioritizing Alternatives using Recommendations of Stakeholders in e-Learning) to incorporate KM into designing an e-learning course. PARSeL prioritizes the content using stakeholder recommendations using Analytic Hierarchy Process (AHP) and fuzzy modeling. A case study is also presented with a goal of prioritizing a set of programming languages for an online computing course. The proposed methodology can be promising in recommending appropriate content for the e-learners and can be implemented to benefit e-learning organizations in a wider spectrum. e-Learning has undergone a myriad of phases to evolve from a static environment, providing text-based content to the students through CD ROMs or print, to a much advanced multimedia-enriched dynamic content tailor-made for each individual learner. Still, many miles are yet to be stridden in order to reach a level where it is acknowledged at par with traditional face-to-face learning. Content creation plays a major role in building the acceptance of an e-learning course and in turn leveraging the e-learning system as a whole. Yet, the process of content designing is an area of concern. There is a need to build socially aware e-learning systems that make the learners informed of the social applicability of the knowledge being acquired by them (Angehrn, Nabeth, & Roda, 2001). A lot of research is going on to bring in adaptability to the e-learning systems but little is being done for inclusion of social opinion into content designing (Sharma, Banati, & Bedi, 2011c, 2011d). Capuruco and Capretz (2009) opine that current systems have not made the most of the rising power of social computing to assimilate the knowledge available in the communities of practice. They also reflect that traditional methodologies are insufficient in dealing with the complications that surface due to incorporation of social presence into interactive learning systems. Kamel Boulos and Wheeler (2007) are optimistic in suggesting that contribution of the stakeholders in content designing promotes a sense of community, empowerment and ownership in them and leads to the growth of ‘collective intelligence’ in the system. Adelakun and Jennex (2002) testify the positive effect of involving stakeholders in all phases of information system designing and evaluation. There are instances where recommendations of immediate stakeholders (learners and instructors) have been taken into consideration in learning environment also (Koehler, Mishra, Hershey, & Peruski, 2004), yet they say of indirect beneficiaries of the system has not been taken into account. The terms referred to in this paper, viz., stakeholders, actors and users are used in the same vein, that is, to denote the persons associated with the system directly (policy makers, instructors, students on rolls, alumni, subject experts on panel and so forth) or indirectly (people not necessarily in direct association with the system, but are potential contributors as a part of knowledge society). Recommendations from a larger section of society must be analyzed and incorporated into the system. Learners acquire skills to meet the demands of various domains of the society like industry, research and development, academics, medicine and so forth. The performances of employees at their respective workplaces affect the reputation of both the courses and the institutions they were affiliated with. It is therefore imperative to give appropriate credence to the opinion of a wider spectrum of society while designing e-learning content. In short, courses must be designed to cater to most of the current requirements of the course takers in the society. On the whole, knowledge construction is a social process of information sharing, negotiating, revising and agreement achieving based on social constructivism (Wanga, Woo, & Zhaob, 2009). Thus it follows that the society and the content have direct bearing on each other, making inclusion of social opinion into the process of content creation a necessary aspect.